ProductCamp Boston 2013 was again another great event! From a discussion facilitated by Steve Robins, I wanted to share some insights on “Product Marketing in an Agile Environment”. It seems so obvious. If you have a product to sell, you must to market that product. But as it turns out, marketing your product is not always the best way to go. 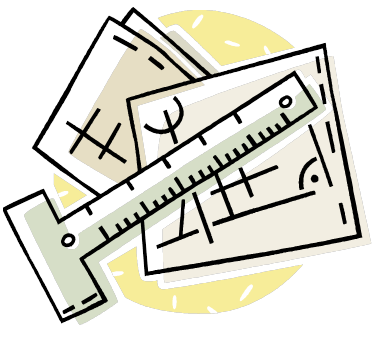 Depending on the product’s market maturity, you may actually be better off not marketing the product. That’s right, don’t market the product. 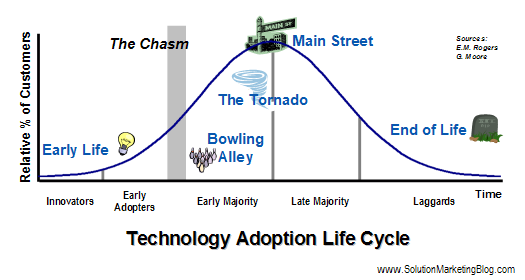 If you’ve read Geoffrey Moore’s Crossing the Chasm, you already know that technology markets move through a bell curve of market adoption, progressing from sales to Innovators and Early Adopters, across The Chasm (we hope) and rising sharply with sales to the Early Majority and Late Majority, and then dropping as only the Laggards remain to purchase the technology. You would think that if you had a great product everyone would buy it. After all, your product might have all of the features that customers have been asking for – it’s probably innovative, new, fast, better than the competition’s, etc etc. In some cases that works but all too often it doesn’t. Why? What Exactly is Solution Marketing? Within 15 minutes of starting a Pragmatic Marketing class, our instructor told us that he deplored the use of the word “solution” in high tech marketing. The word “solution” just may be the most over-used and least understood word in tech marketing today. So you might think that you should run as far away from that word as possible. You might think that you should retreat to terms like “products” and “services” and “offerings” (as if that was clear). And you’d be wrong.